The KSM8 Dualdyne is world’s first dual-diaphragm dynamic handheld microphone. The KSM8 has an accurate and flat frequency response which greatly minimizes the need for EQ and processing. There’s a big sweet spot due to the proximity effect control of the second diaphragm and a natural stage bleed and off axis rejection because of a textbook cardioid polar pattern. 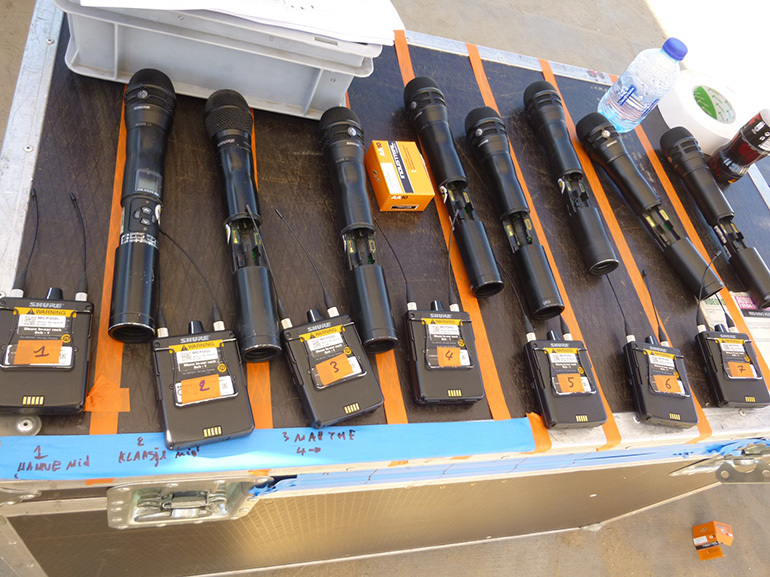 The KSM8 matches highly diverse voices, which makes it deployable for a wide range of artists necessary at “2 Meisjes op het Strand”. 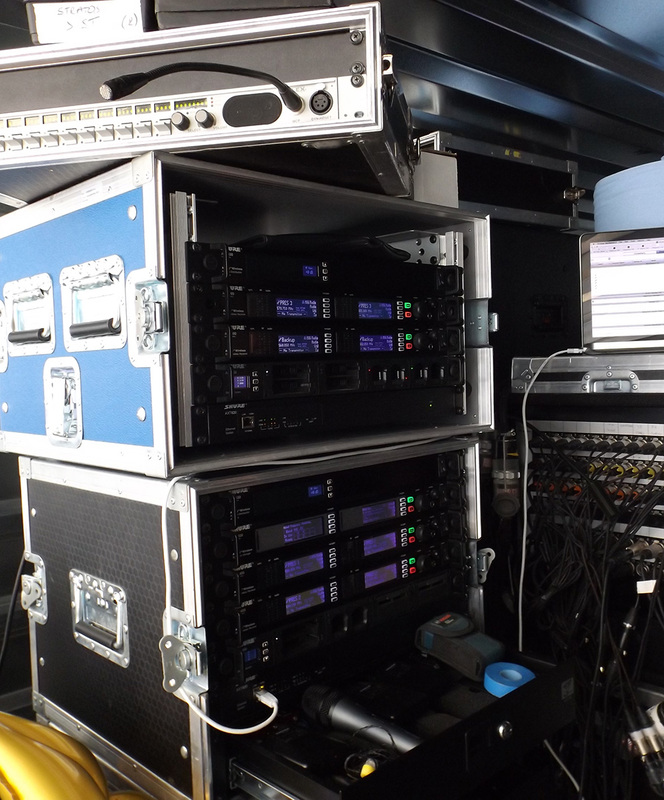 To receive a perfect wireless sound, Videohouse placed two of RF Venue’s CP Beam antenna’s on top of the monitoring container. The CP Beam antenna is a high performance, directional UHF antenna in a lightweight, portable package. 9 dBd of gain makes it an ideal choice for long range applications. 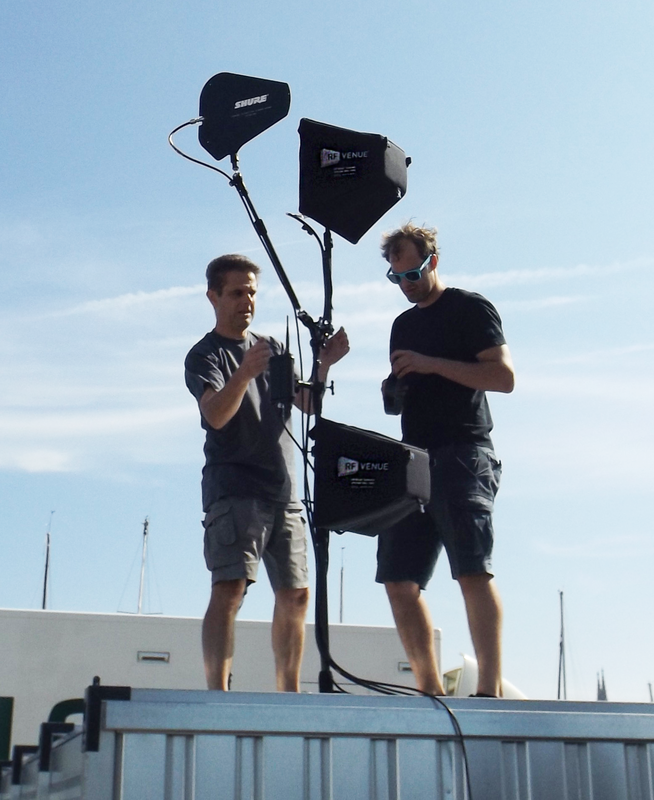 All microphones and RF Venue antennas are placed on Triad-Orbit stands because they cope with wind gusts at the seaside very well. 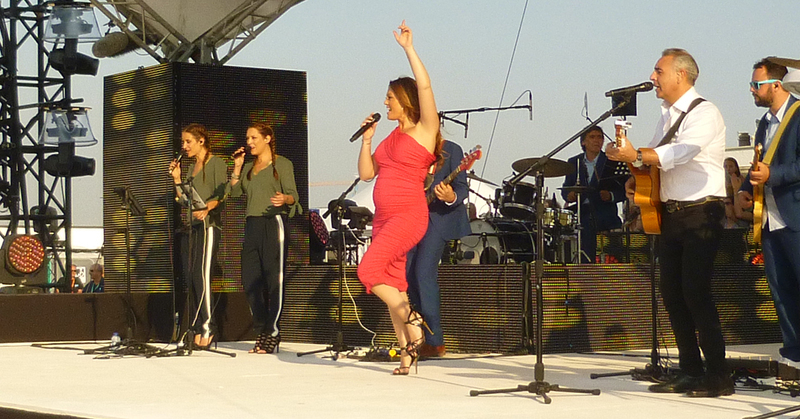 Belle Perez at "2 Meisjes op het strand"